Volkswagen is presenting the World Cup edition of the world’s most successful football app “Onefootball”. 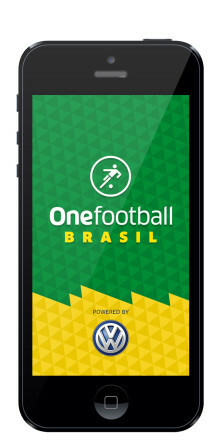 The Onefootball Brasil app is now available for free download from www.onefootball.com/brasil-by-volkswagen/ . The exclusive Volkswagen World Cup edition features breaking news on players, teams and results as well as a live ticker and the latest football videos.